Established in January 1980 by the French Aerospace Industry Association (GIFAS), IAS is a nonprofit organization, based in Toulouse. 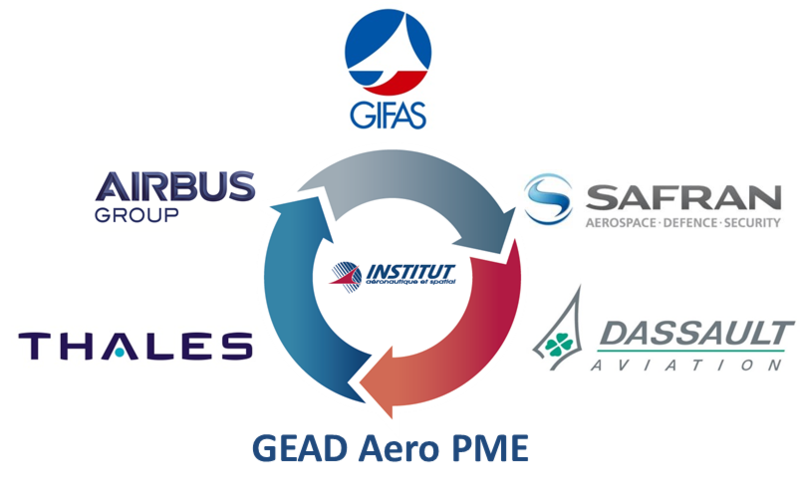 The members of its board are the GIFAS, Airbus , Safran, Thales, Dassault Aviation, and the GIFAS Aerospace and Defence Equipment Group (GEAD). IAS President is Mr. Frédéric Pochet-Reynes and its Managing Director is Mr. Pierre Valenti. Working under supervision of the GIFAS International Affairs Commission, and participating to various activities organized by the Commission (monthly meetings, country workshops, delegations, missions and international air shows, etc. ), IAS is the French Aerospace Industry Association agency for international professional training. IAS mission is to design and implement professional training solutions and services dedicated to foreign professionals operating in the aeronautic and space sector, as partners and/or customers of the French industry. Whether based upon the schools’ academic training or tailor-made by IAS, these solutions leverage the know-how of our educational partners and the expertise of our industrial lecturers. Last but not least, our institute also takes an active part in various reference aeronautic and space clusters and counts among some influential institutional organizations. More than 3.800 professionals from more than 100 countries trained to date. Customer portfolio of over 150 leading players in the aeronautic and space industry. More than 10 training sessions per year. 2017 turnover: 3.6 million Euros. Permanent staff: 12 working in 3 teams: Management, Business Development, and Operations. 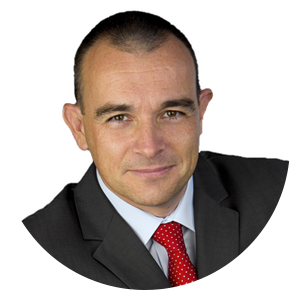 Frédéric Pochet-Reynes is Vice-President, International Cooperation at the International & Company Footprint Department of Airbus since October 2017. He was previously VicePresident, International Cooperation & Business Development for Airbus Commercial Aircraft since 2010. Mr. Pochet-Reynes began his professional career in 1983 as Manager in the International Department of the French Ministry of Transport. From 1986 to 1994 Mr. Pochet-Reynes was based in Tokyo, as Attaché for Science and Technology in the French Embassy until 1989 and as Aerospatiale permanent representative in Tokyo afterwards. In 1994 he joined Aerospatiale in Toulouse; he held various positions linked to the A320 family program. In 2000 he was appointed as executive assistant to the Airbus CEO. He joined EADS in 2004 for three years. In his role as Head of the Global Industrial Strategy Project he was responsible for the definition and the set-up of EADS industrial strategy in key countries. Frédéric Pochet-Reynes graduated in 1980 from Ecole Polytechnique and in 1982 from Ecole Nationale des Ponts et Chaussées in Paris. Hired in June 2013 as Deputy Managing Director, Pierre Valenti officially took over the Institute's leadership as of the 2nd of January 2014. 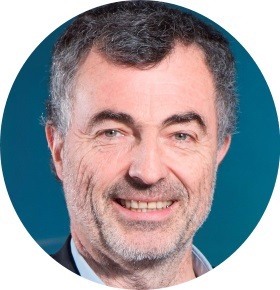 At 49 years old, Pierre has spent most of his career in the space industry in the commercial domain, from consultancy (Andersen Consulting: 1994-1996, Euroconsult: 1996-1998 and SATConsult: 2011-2012) to manufacturers (Astrium Satellites: 1999-2009 and Arianespace: 2009-2011). Specialized in business development, marketing and communication, Pierre is a graduate of the Institut d’Etudes Politiques de Paris (International section, 1994) and holds a Master's degree in Technology and Management of the Ecole Centrale de Paris (1998).